Base23 lives and works Berlin. His sources of inspiration for his Graffitis, ink drawings and cardboard installations derive from a wide array of sources. These include psychedelic art of the 1960s, underground comics from the 1970s, Japanese robots and robot toy packaging, experiences from his stay in Hongkong, sources from typography as well as traditional fabrics. 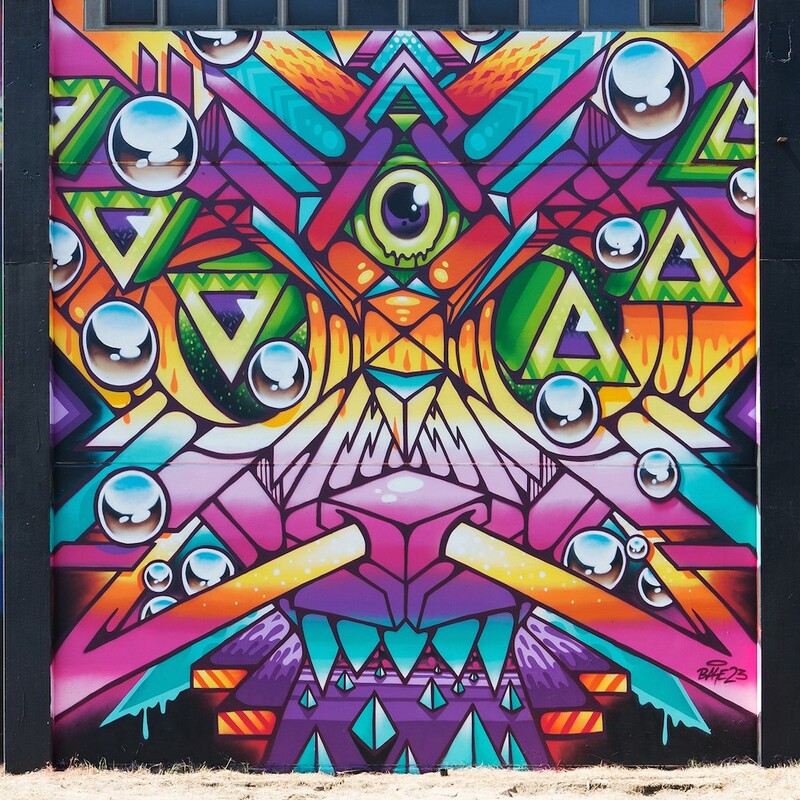 As an artist Base23 combines these inspirations into his unique graphic style. His passion for detail can be found in Base23’s large murals as well as in his delicate works on paper and canvas. Vibrant colors imbue works with expression, intensity, and dynamic. His main intention is to counteract our fleeting way of observing in our image-drenched world and instead to invite the spectator to stay and contemplate over his works.